September | 2014 | Hike. Camp. Hike. 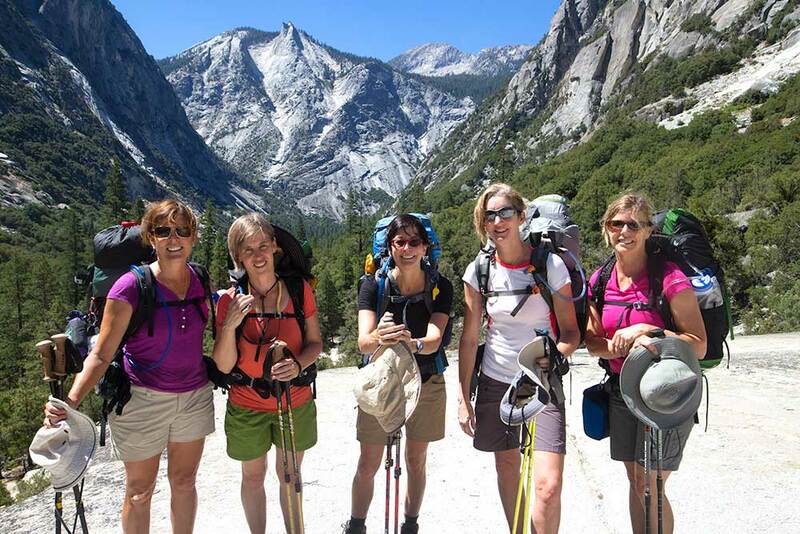 Judy, Bettina, Suzanne, Maria and Kelly on day 1 between Mist Falls and Paradise Valley. Trip Planing: We met 3 times for planning the trip. In March we applied for the wilderness permit. Once we had the permit we met to plan the itinerary. And we met another time to divide up the shared equipment and weigh our packs. Trip Training: We each have our own workout routines. Bettina and Suzanne are rowers, rowing and training for rowing keeps them in great shape. Myself, Maria and Kelly each run, ride bikes and hike to keep in shape. But to prepare for this trip we made time to get together and hike with weighted packs 4 or 5 times before we went on the hike. We can’t get the altitude training in Austin that we encountered in Kings Canyon but the heat of the summer in Austin made it very challenging. 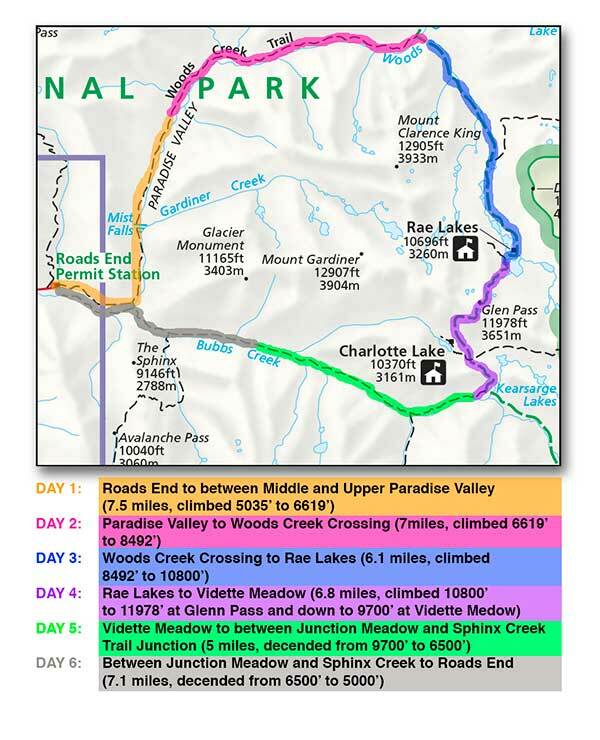 Day 1: Roads End to between Middle and Upper Paradise Valley. Post-hike: Eat burgers, drink a cold one and spend the night at Cedar Grove Lodge. In the morning drive back to San Jose catch the flight back to Austin. This trail allows for options on where to camp and we had a few different ways we thought we might do the trip. The itinerary above was the one that we went with for a variety of reasons and it worked out perfectly for us. Each day the scenery was beautiful and offered something different from the day before. Each camping spot was spectacular in it’s own way. We were challenged as far as hiking goes each day but none of us felt like we were pushed beyond what we were prepared to do. Food Notes: Food storage is required since this is Bear Habitat. Some of us used a Bear Vault and Suzanne rented a lightweight canister from Wild-ideas.net. Some of our favorite foods of the trip included Mary Jane’s Farm selection of backpacking food, Wheatsville Food Co-Op‘s bulk Pea Soup with chorizo sausage, Whole Food’s Turkey Jerky, Epic Bars, Wild Garden Hummus to go, Jif peanut butter to go and Arnold Sandwich Thins, beef sticks, dried apples, banana chips, biscotti cookies all from Trader Jo’s. Birds of the Trip: American Dipper, White-headed Woodpecker, Chickadee, Western Tanager and Rufous Hummingbird.